I am very happy that Pro-D Seminars was able to have a lecture series by Dr. Huang Huang, and I hope that there will be more in the future. I liked the Chinese/English alternating format because as someone who speaks Chinese, it was very refreshing to hear everything in the original. The information was presented in an engaging manner. I have no doubt that it will greatly enhance my use of herbal formulas in the clinic. Dr. Huang is an excellent teacher. He is extremely knowledgeable and has a lively and entertaining way of presenting the material. I feel that I learned a huge amount. I learned to more systematically think about herbs and herbs families and formula presentations. 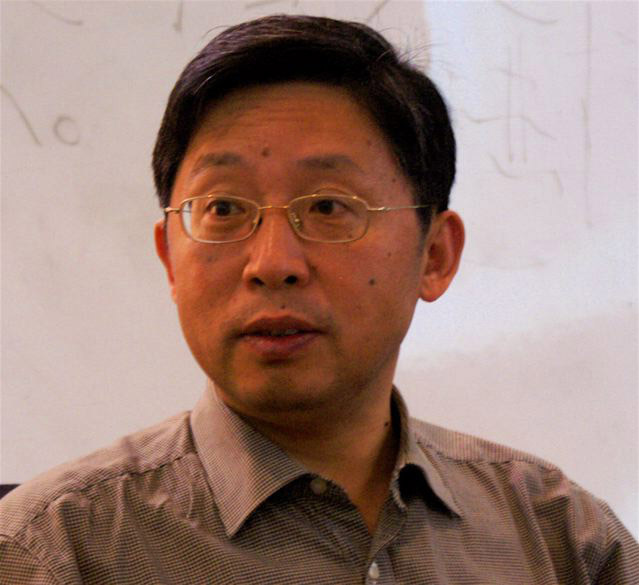 I would like to see more classical seminars and more of Dr. Huang Huang. Just wanted to say Thank You to everyone at Pro D Seminars for organizing one of the best seminars I have ever participated in. Although I was a little skeptical about attending an online seminar, Dr. Huang's Ten Key Formula Families is one of the most educational and informative seminars I have ever experienced. The seminar covered a wealth of practical material and the translation was excellent. I look forward to attending one of Dr. Huang's seminars in person and I hope that Pro D will continue to seek out such high caliber physicians for future seminars. This was one of the best courses I have ever taken, and also a first for an online course, SO I hope this is not what I will use as a measure of comparison for other courses. This was an excellent course and I only wish I had read the textbook before doing this course as it would have helped to lay a stronger foundation to prepare me for the material presented in this excellent course. This was an excellent course and I also like the way Huang Huang stresses simplicity to achieve elaborate clinical results. Twice this year I have had the privilege of studying with Dr Huang Huang. Huang is a Shang Han Lun Scholar. His special focus has been the development of the system 10 body types. These body types are archetypal representations of pattern imbalances. Just as we might diagnose a person as having a wood, or fire constitution, this system presents constitutional constellations that are reflected in the patterns treated by an herb and its formulas. Thus, an herb reflects a type of person or way of being in the world and also a predisposition towards developing a certain kind of disease pattern. Dr. Huang presents with such clarity that he reduces the most complex cases to their simplest components: the components of the qi dynamic of the body. His perspective is refreshing in it’s depth, focus and simplicity. It reminds us that Chinese herbs treat an entire gestalt: how a person comes into the world. How they are predisposed to imbalance. I strongly recommend this course to beginning and experienced practitioners.